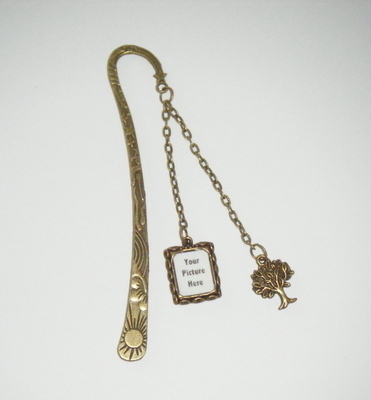 Personalised custom made bookmark that can have a picture of your choice. I will email a proof of the bookmark before sending. Please make sure you check your emails regularly and do not order until you have your picture ready! Please note the picture size is 1.4 by 1.7mm and your pictures will be cropped off to fit. Please ask if you have any questions as I will be only too happy to help. These make great wedding favour gifts or Thank you gifts or Christmas stocking fillers! Antique bronze has a slightly blackened look and is perfectly normal and is not tarnished just the style!